The Thunderbird Society was created to honor those individuals who have shown exceptional achievement and dedication to Tonkawa Lodge #99, and Capitol Area Council in Ceremonies and Dance and to keep alive the high traditions of excellence of the Lodge American Indian Heritage program. The Thunderbird Society is made up of three clans, the Ceremony Clan, and the Dance Clan, and the Service Clan. The Thunderbird Society is a subcommittee of the Tonkawa Lodge Special Events & Awards Committee and is therefore subject to oversight by the Lodge Executive Committee. 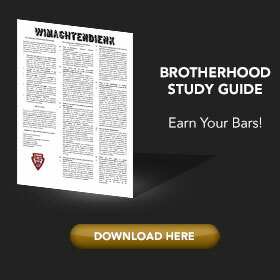 The Thunderbird Society and its program shall supplement and enhance the Lodge Program. The Thunderbird Society’s induction ceremonies and shall be safe guarded just as the other Order of the Arrow ceremonies are. This shall not be interpreted, however as justification of withholding any information about the Thunderbird Society from any person youth adult who is legitimately interested in the Society. The officers of the Thunderbird Society shall be the Thunderbird Society Chief and Vice-Chief. The officers shall be elected by the Society’s membership at the Spring Assembly. The term of office shall be September 1 through August 31. If no officers are selected the Lodge Chief may appoint interim officers until elections can be held. Members of the Thunderbird Society will be presented with a sash of the appropriate clan they are inducted into at the time of induction or at the annual Lodge Banquet. The Ceremony Clan sash shall consist of a white satin arrow set in a background of black felt shall correspond to the member’s level of honor in the Order at the time of his induction. The Dance Clan sash shall consist of a white satin arrow set in a background of red felt. 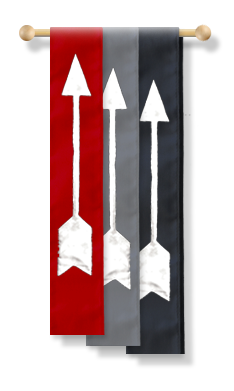 The Service Clan sash shall consist of a white satin arrow set in a background of grey felt. Clan sashes should be worn on the belt on the right side. They should be worn at all Lodge ceremonies and functions and can be worn with ones outfit or Class A uniform. 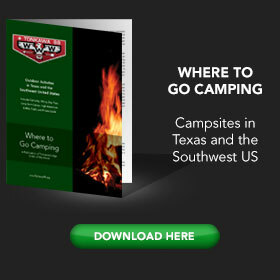 Members are expected to be mentors and role models to the up and coming members of the lodge. 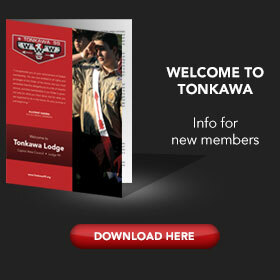 Membership in the Thunderbird Society is open to all registered, dues-paid members of Tonkawa Lodge. Each clan has its own separate set of requirements for induction. These requirements are included in the applications for each clan.